Figure 15 07 Extruded Cylinder An extruded cylinder built using a circular cross section swept along a straight spine. Figure 15 08 Extruded Half Cylinder With Caps An extruded half cylinder built using half of a circular cross section swept along a straight spine. Also see Figure 15.9 for comparison. Figure 15 08 Extruded Half Cylinder With Caps With Axes An extruded half cylinder built using half of a circular cross section swept along a straight spine. Also see Figure 15.9 for comparison. Figure 15 09 Extruded Half Cylinder Without Caps An extruded half cylinder with its beginning and ending caps turned off. Also see Figure 15.8 for comparison. Figure 15 09 Extruded Half Cylinder Without Caps With Axes An extruded half cylinder with its beginning and ending caps turned off. Also see Figure 15.8 for comparison. Figure 15 10 Extruded Room An extruded room using a floor plan as the cross section. Figure 15 10 Extruded Room With Axes An extruded room using a floor plan as the cross section. Figure 15 11 Extruded Playground Slide A playground slide built by extruding a half-circle cross section along a helical spine. Figure 15 11 Extruded Playground Slide With Axes A playground slide built by extruding a half-circle cross section along a helical spine. Figure 15 12 Torus A torus built using a circular cross section swept along a circular spine. Figure 15 12 Torus With Axes A torus built using a circular cross section swept along a circular spine. Figure 15 13 Extruded Pyramid A pyramid built by scaling a square cross section to 0.01 at the pyramid apex. Figure 15 13 Extruded Pyramid With Axes A pyramid built by scaling a square cross section to 0.01 at the pyramid apex. Figure 15 14 Extruded Vase A vase built by scaling a circular cross section at each coordinate along a straight spine. Figure 15 14 Extruded Vase With Axes A vase built by scaling a circular cross section at each coordinate along a straight spine. Figure 15 15 Twisted Bar A bar twisted using Y-axis, cross-section rotation at each spine coordinate. 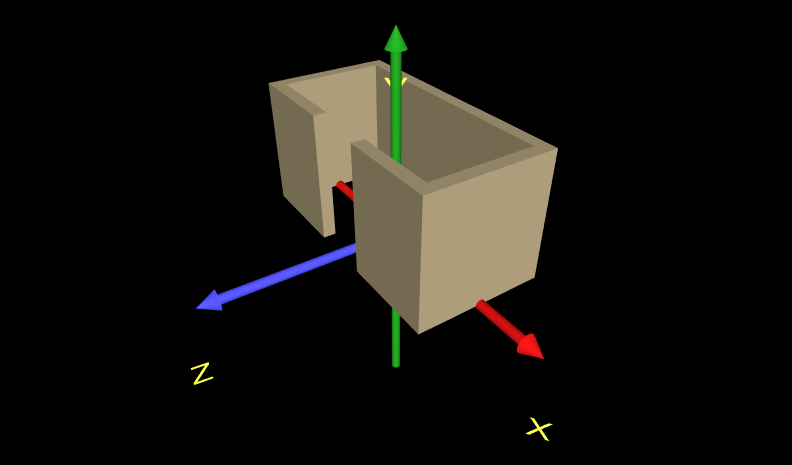 Figure 15 15 Twisted Bar With Axes A bar twisted using Y-axis, cross-section rotation at each spine coordinate. Figure 15 16 Extruded Lipstick A lipstick shape created by rotating a circular cross section about the X axis as it is extruded. Figure 15 16 Extruded Lipstick With Axes A lipstick shape created by rotating a circular cross section about the X axis as it is extruded. Figure 15 17 Wiggling Snake A wiggling snake whose spine is animated using a CoordinateInterpolator node. Figure 15 17 Wiggling Snake With Axes A wiggling snake whose spine is animated using a CoordinateInterpolator node.